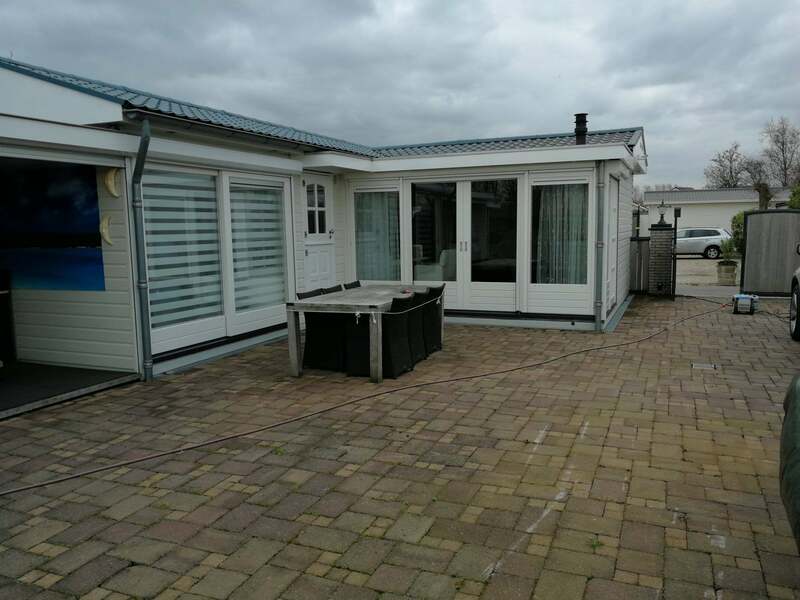 Very well maintained and beautifully finished detached bungalow located in a unique location in rural surroundings on the waterside, on Park Eilizon near the Vinkeveense Plassen. Within a mere 15-20 minutes by car you are in Amsterdam, Amstelveen, Utrecht or even closer, the charming town of Abcoude. This property is ideal if you are looking for a place to stay in peace and in a green environment after your busy day at work, and also in the weekends you will enjoy the holiday feeling that this bungalow and the park offer. In the vicinity there are, among other things, a marina and various restaurants, and you can also rent a boat. Layout plot: through a large gate with access for your car, access to the plot. Large tiled garden/terrace located on the Southwest with wooden terrace on small water feature. Entrance to the very neat and well-kept bungalow: hall, bright and neat bathroom with shower, sink with cabinet, toilet, washing machine and dryer. Spacious and bright living / dining room with open fully equipped luxury Siematic kitchen, including Siemens dishwasher and oven / microwave combination, Miele built-in coffee machine and fridge / freezer, induction hob, beautiful modern designed extractor hood and lots of storage space. CV installation in built-in closet. Living room on garden side with sliding doors and gas fireplace. From the hall there is access to the bedroom with double bed and built-in wardrobe, air conditioning and sliding doors to the terrace. From the terrace access to a spacious storage shed.